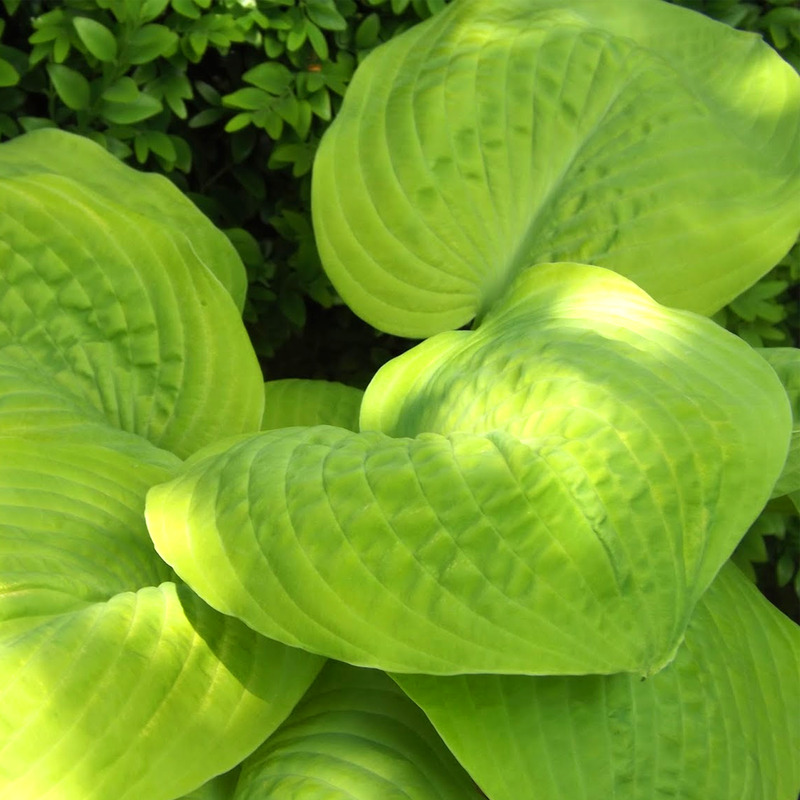 The “Golden Waffles” have a very electric green colour to their leaves. The flower like other hostas is composed of small grouping of bell-shaped flowers on the top of a raceme or stalk which comes out of the central clump of the plant. The flower is a soft whitish to very pale lavender or purple colour. This variety has broad, heart-shaped leaves. And there is a slight rippling-effect between the ribs of the leaves themselves.